You’ll need to know your primary NAICS code and possibly multiple NAICS codes for the products and services that your business provides. Federal and state governments use NAICS codes for administrative, taxes and contracting purposes. Your business must be registered with Dun & Bradstreet to get a DUNS number. The government uses your DUNS number to identify your business in their government systems. To compete for government contracts, you must register your business with the System for Award Management (SAM). The information will be used in the SBA’s Dynamic Small Business Search (DSBS) government database that is used to search for contractors. Your SAM profile is like having a resume. Small businesses can find contracting opportunities by researching multiple databases such as the Dynamic Small Business Search (DSBS) which is maintained by the SBA. Government agencies are required to publish contracts over $25,000 in the FedBizOpps.gov database. 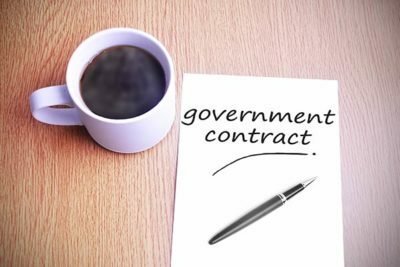 The General Services Administration (GSA) is the government agency that matches government buyers with contractors. Being approved to do business with the government is referred to as “getting on the GSA Schedule”. Government subcontracting opportunities are listed on the SubNet database and the GSA subcontracting directory. The SBA and DOD also provide a directory of subcontracting plans that have been awarded to prime contractors. The Federal Procurement Data System lists agency contracts and USASpending.gov tracks contract spending. Many government agencies help small businesses win contracts through an Office of Small Business Programs (OSBP). Agencies also publish a procurement forecast listing contract opportunities. After your business wins a contract, you may want to hire a factoring company to process and factor your government invoices to speed up your payments. Many factoring companies can get your business setup within one to two weeks. Once you’re account is set up, your invoices can be funded within one to two days. Government contract financing allows you to find more contract opportunities, since you’ll have more working capital in your business. You won’t be sitting around waiting on your government payments.